extracts from academia and other art and design related banter. 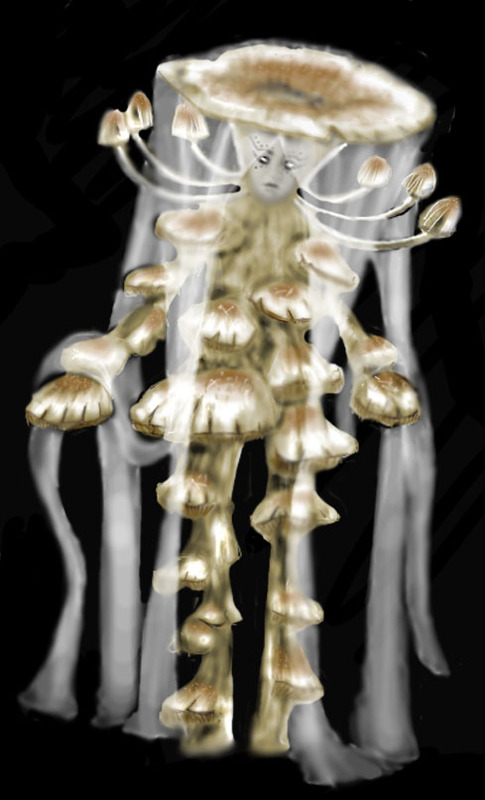 I wasnt happy with the last mushroom character i thought that it lacked character, whn i opened up the photoshop file this morning i realised what it was that it was lacking, DETAIL. LIKE AN IDIOT i had merged all the layers before saving, so I made a new layer ON TOP and added some more colour detail to the mushrooms on the body, I added a darker orange and cream spots, and the underneath detail of the mushroom. armatures - are they fit for duration? Technical issues - Who messed with the lights? The ground beneath the scene. Alice - What are you wearing? Top 10 most embarrasing college moments. My best and worst college moments. All work copyright of VKC 2010/2011. Awesome Inc. theme. Powered by Blogger.